Iam Mr. interview Fashion Designer - DigVijay Singh — Image Consultant & Fashion Stylist for Men in India-I am Mr.
It’s not always that one gets to meet the designer he loves and apart from meeting he also gets to interview him personally. It is really a matter of pride and inner satisfaction today for Iam Mr. to interview an Ace Fashion Designer in the Fashion and Bollywood fraternity, the one and only – DigVijay Singh, the man behind conceptualizing the costume and design for one of our highly recommended movie “Sahib, Biwi aur Gangster”. “DigVijaySingh” label is synonymous with quality and style for over eight years. His inspiration lies in the cultural influences and the classical eras of our country. His designs are all about minimalism and sophistication. The cuts and fits of the designer are innovative and in absolute artistic synchronization with the coloured layered and pleasant features. With an array of designs for men in bandhgalas, jodhpuri pants, sherwanis, sleeveless coats, shirts, jackets, bandis, achkans, the collection is definitely a feast because each piece is truly captivates his style essence. He has not only designed for various Bollywood celebrities, but has also designed and styled for films. After studying at the National Institute of Design, Ahmedabad, DigVijay has showcased his collections across various Fashion Weeks. DigVijay has garnered not only popular acclaim but also critical appreciation for his work. He was adjudged a finalist by the British Council as the Young Design Entrepreneur, 2010 and was named one of the 10 most promising young designers by Vogue India. Iam Mr. was highly overwhelmed and excited to be invited for this remarkable launch, interviewing not only DigVijay Singh but also the DVAR owners and needless to say, it was a wonderful moment to cherish. Our image consultant Meghana Dave, who handles and looks after Iam Mr. for the Mumbai region, shares her experience describing it as “a Sunday well spent, actually”. a tete-a-tete between Meghana & Digvijay. Iam Mr.: Saheb , Biwi aur Gangster happens to be one of my must-watch list, what was your first thought in saying “yes, I will do the project”. Iam Mr.: Indian men are skeptical when they have to choose their Bride..and later on a Groom-wear…your comments on what to look for when you buy yourself a Sherwani, Achkan or similar? DigVijay: I would suggest them to be very selective when it comes to color tones, fabrics & work. One has to consider their body type before finalizing any outfit for themselves. Iam Mr.: Your designs and selection of fabrics is exquisite. But what do you recommend on a daily wear basis for professionals? DigVijay: I would firstly understand which industry they belong to, and accordingly suggest tones, palettes, fabrics & styles. However the basics such as dark tones with combination of ties & shirts for day, which can be later be a continual wardrobe for any last min evening meetings or social obligations. Iam Mr.:With big MNC’s & corporates dropping their cash in India, do you see yourself to target that audience at a later stage? It’s a huge mass with affordability as a crucial part so do you see your designs to grow there? DigVijay: Yes, I would like to cater to the mass which focuses on comfortable & affordable clothes. To cater to this market i would play with various mix of fabrics & styles. Iam Mr.: Major Indian men come with belly as a by-product of an ambitious lifestyle, what do you recommend them while selecting the designs, fits and fabrics? DigVijay: Comfort clothing is a must, hence would recommend them to avoid prints & trendy outfits to bring a right social fit. I would ask them to play with solid colors, 2 button jackets, and reasonable body fits & avoid too tight clothes. Fabrics such as Linen, cotton, terracotta & woollen blends would be a good option. Iam Mr.: A complete wardrobe is a myth, what are the essentials you recommend as “must-haves”? 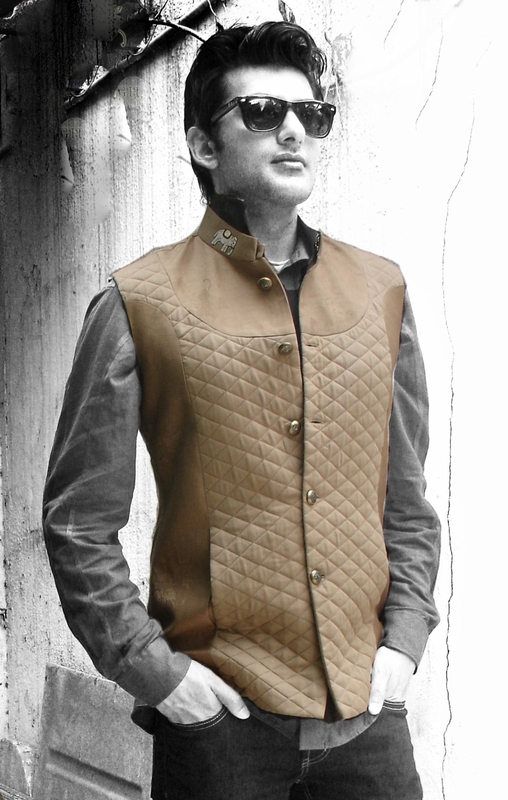 DigVijay: Blacks, beige, neutral tones, charcoal formal jackets. Blend of experimental colors such as pink, pastels, greens, powder blue should also now be part of “must have” wardrobe. I strongly believe that one must carry their clothes & attitude with complete confidence which speaks about their true personality. Iam Mr.: Brands are like wives and Designers like mistress, which brands do you recommend, national & international? DigVijay: I am not too brand conscious, but I do appreciate Alexandra Mc Queen, Vivienne Westwood, who’s known for their flawless designs. Iam Mr.: You have a host of celebrity clients; do you consider yourself a trendsetter? DigVijay: Yes & the reason is my work includes a lot of silhouettes, slim fits for characters which are unconventional, different from regular modern fashion informed lead characters. I aim to innovate “Looks” which are unconventional. I would like to experiment with reversible shirts & Jackets with Dual color. Iam Mr.: Ahmadabad and Baroda, any difference in men style in both the cities? DigVijay: Yes, Baroda as a city is more experimental than Ahmadabad. Since the city is smaller & comparatively cosmopolitan. The city members are involved in games such as Golf, which is influencing the society’s lifestyle & standard of living. Ahmadabad on the other hand is still conservative as the language of fashion for men is less appreciated or should I say, men will take more time to understand FASHION. However TV, Bollywood & technology has a great influence in educating & encouraging a relevant wallet sharing in men’s wear designer outfits. 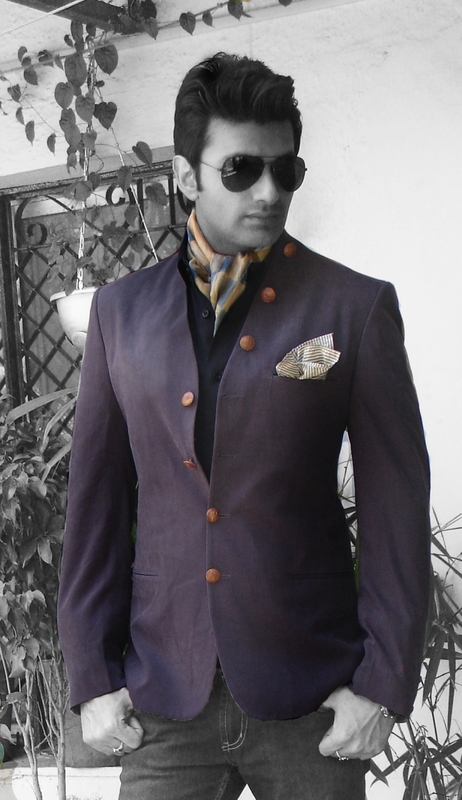 Iam Mr.: Gujarat – describes men’s style there in one word. Iam Mr.: One thing you would like to comment on today’s Men styling? Iam Mr.: And lastly, from all the menswear till now, if you were to scrap one trend or apparel, what would that be? DigVijay: I don’t know how one would react to this, but i would like to change the look of having polished shoes all the time. I would like people to experiment with fabrics such as suede & solid fabrics which can give a rugged look. “Understand fashion before following - DigVijay Singh”. Meghana: One more fashion start-up, how do you differentiate it from others? A USP that you boast about ? DVAR: We are trying to create a blend of ARTISTIC & WEARABLE clothing line. The focus is on Indian body; hence our USP would be “DVAR –For all sizes”. We would like to call ourselves /DVAR as an art gallery of clothes. We are her for our passion for clothes & we look to keep experimenting. Meghana: A House for Fashion Designers is always a thumbs-up, do you plan to showcase local craftsmanship from various parts of India in the segment of organic and sustainable Luxury? DVAR: Yes, we aim to showcase a lot of local craftsmanship. Instead our current collection includes sourcing from Rajasthan, MP & UP. The collection includes maheswaries, gottas & local embroidery. Meghana: The world is going online, does DVAR have plans to target the Web-World? DVAR: No, we would like to stay focused on bringing shopping experience through feel & touch. Meghana: Other than the Metro's, which other locations you see DVAR as a boom to invest into? Meghana Dave, apart from being a Events & Brand Alliance Manager, is also an image & style consultant representing Iam Mr. for the Mumbai region.